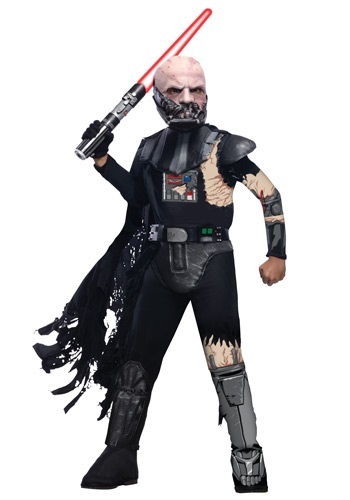 Halloween is a little over a month away and new child costumes are flooding the stores. 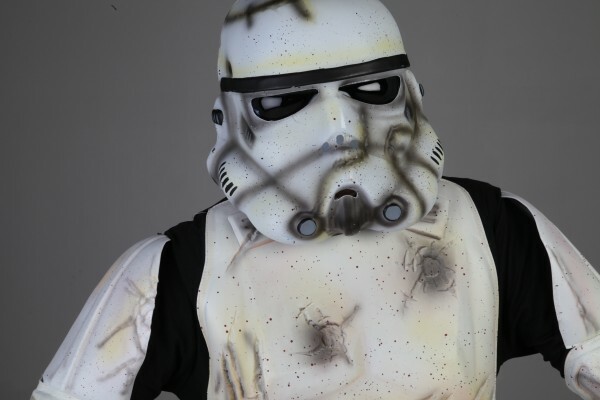 This year, the Death Trooper has been added to the list along with a Darth Vader zombie costume. You can pick them up here are HalloweenCostumes. They even have a story to go with the costumes. Many years have passed and the Galactic Empire has diminished, but the force remains strong as the remaining occupants of the galaxy are holding what remains together. However, the strength of the force is not where it needs to be. Evil has stricken; the spaceship has been infiltrated and is on the cusp of turning to the dark side. The sith – or stiffs in this case – have been the evil source of the force and the galaxy is under attack. All those who have perished in the galaxy are now returning…as zombies! What does this mean for the galaxy? 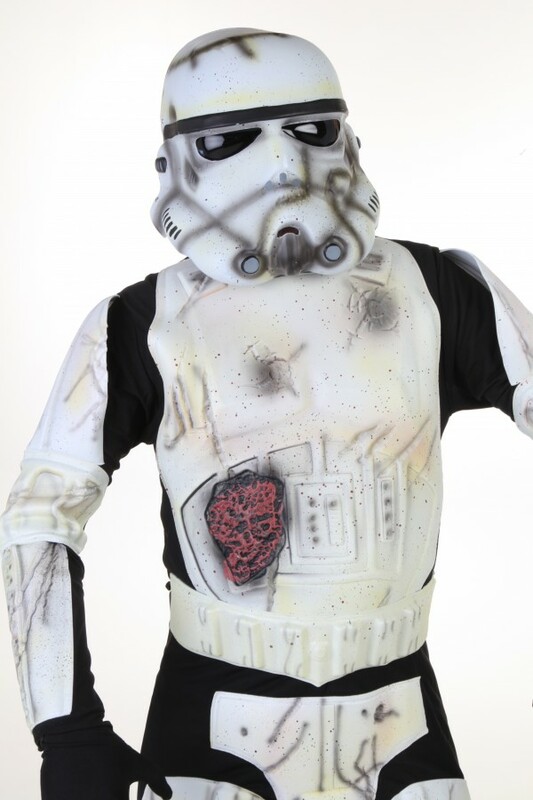 A mindless army of death troopers and a damaged Darth Vader on the hunt for their next feast of brains. Perhaps the true question here is will the light sabers be a valid Jedi defense against the evil stiffs? 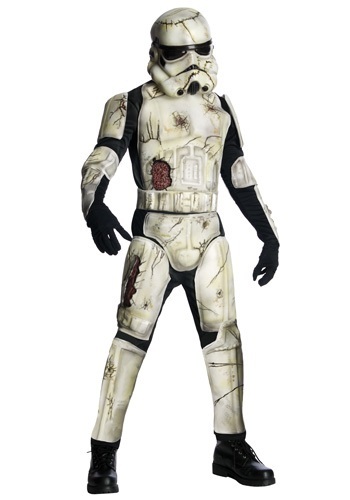 So head on over to Halloweencostumes.com and pick up your costume!